The pro-Islamic State (IS) hackers known as the Caliphate Cyber Army (CCA) posted Google Earth files identify locations of airports and military bases in the U.S. and military districts and bases in Russia. The pro-Islamic State (IS) hackers known as the United Cyber Caliphate (UCC) claimed hacking a database of D-Link, an IT equipment company, and leaking over 10,000 sets of alleged account information, including names and email addresses. 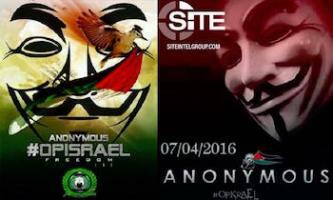 Members of the Anonymous hacking collective circulated “target lists” of Israeli websites, banks, government buildings, and addresses of other institutions as part of the “#OpIsrael” campaign. The Cyber TeamRox (CTR) hacktivist group posted links to 29 supposedly “hacked” websites; however, only 18 pages actually contained a defacement, 15 of which were attributed to other groups not affiliated with CTR. 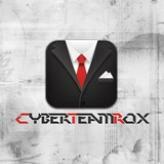 Cyber TeamRox Leaks Admin Cred, Employee info of LaSalle and Purdue Universities, Defaces Websites, Threatens U.S. 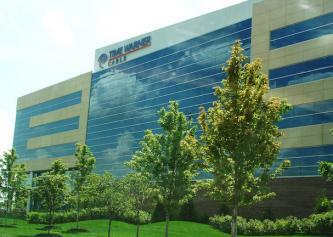 The Cyber TeamRox (CTR) hacktivist group disseminated administrative credentials and publicly available employee information of two U.S.-based Universities, defaced websites belonging to privately owned companies, and threatened the United States, stating that it is “next” on the group’s list. 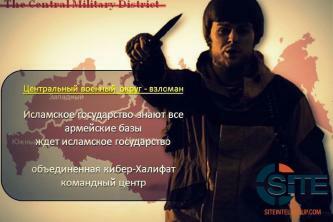 Pro-IS Hackers Claim Compromising Facebook Accounts, Threaten Facebook with "More Cyber Attacks"
Pro-Islamic State (IS) hackers from the “Kalachnikv Team” and Cyber TeamRox (CTR) groups claimed hacking group pages on Facebook and threatened the company with “more cyber attacks” in response to the suspension of a CTR Facebook page. The Cyber TeamRox (CTR) hacktivist group claimed defacing 63 websites, 30 of which were purportedly done using a WordPress vulnerability. 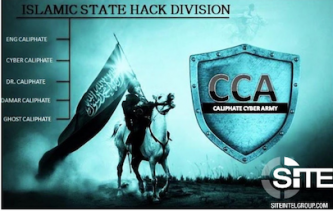 A group of pro-Islamic State (IS) hackers known as the Caliphate Cyber Army (CCA) defaced 35 websites of U.K.-based businesses, as part of their “#AbuHussainRevenge” campaign. The group of pro-Islamic State (IS) hackers known as the Sons Caliphate Army (SCA) released a video claiming that the group compromised “more than 10,000” Facebook accounts and “more than 5,000” Twitter accounts. 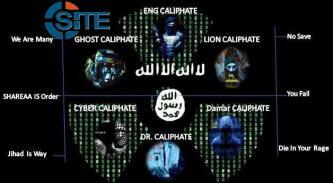 A group of pro-Islamic State (IS) hackers known as the Caliphate Cyber Army (CCA) released a video announcing defacement attacks and breaches of servers of 20 small business, organization, and government websites, along with disseminating previously-circulated information about U.S. military and government personnel. 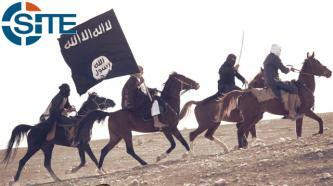 A group of pro-Islamic State (IS) hackers, also known as the Caliphate Cyber Army (CCA), claimed hacking Indian travel website flymantra.com and released 1,816 user accounts, including email addresses and unencrypted passwords, as part of their “#AbuHussainRevenge” campaign. 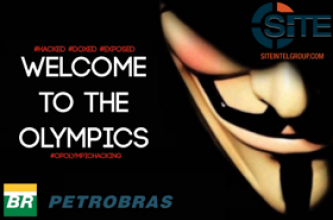 The Anonymous hacking collective released over 1000 user credentials of Petrobras, a Brazilian oil company, and Accenture, a multinational management consulting company, as part of its #OpOlympicHacking campaign. 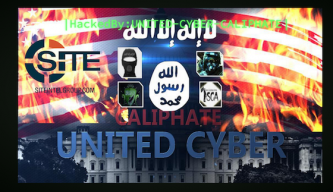 A group of pro-Islamic State (IS) hackers, also known as the Caliphate Cyber Army (CCA), defaced two websites, one of a small political organization and one of a small business, based in the United States. A pro-Islamic State (IS) hacker has been defacing websites based in the US and China with messages featuring the IS flag. A purported sample of information from the recent Time Warner Cable hack was uploaded to Pastebin.com on Jan. 8, 2016. 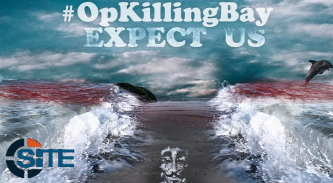 Hackers associated with the Anonymous hacking collective have targeted Japanese corporate and government domains as a part of the “#OpKillingBay” campaign, which protests dolphin hunting in Japan. The group of pro-Islamic State (IS) hackers known as the Caliphate Cyber Army (CCA) defaced the website of a Saudi food company based in Riyadh.